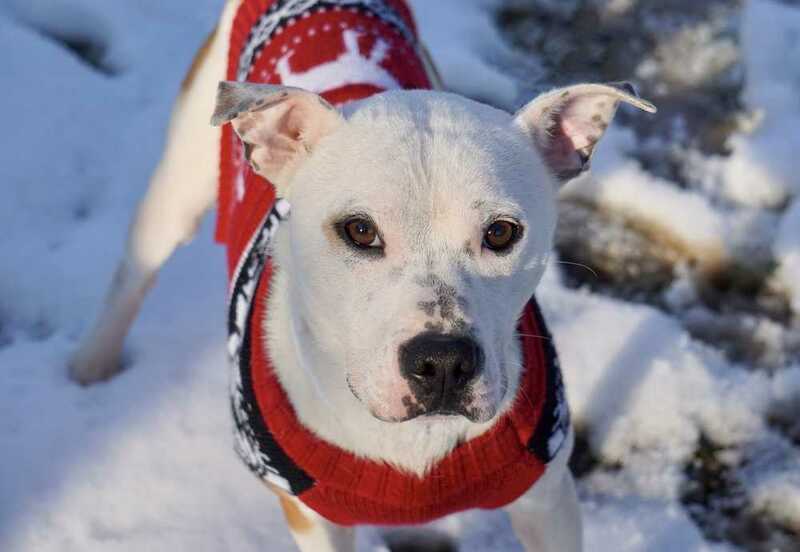 Maestro is a sweet and energetic young male "pocket pitty". He's 30 lbs and loves to play with all people and dogs. He loves to take car rides and can't wait to meet you! We have gotten to know Maestro a bit better, and have learned that he is very smart. He'd to great with agility or any other sort of training sport. He also loves to cuddle and wants to be a lap dog. He is a star in daycare, playing well with ups of all sizes.